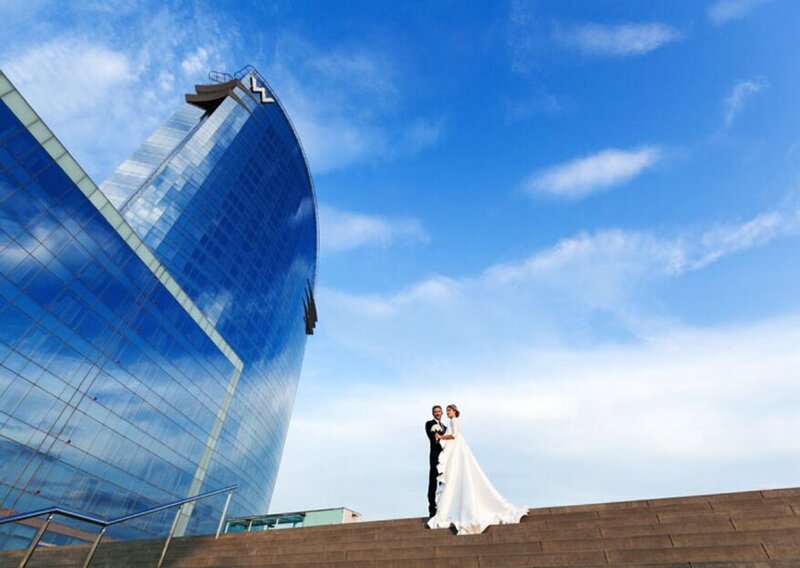 If you want your wedding day to be a magical and unforgettable experience for both you, your family and friends, we suggest one of the most beautiful hotels in Barcelona: the Hotel W Barcelona. A Hotel that leaves everyone who visits impressed by its original architectural design and its incredible and wonderful views of the Mediterranean Sea. Undoubtedly, one of the best scenarios for such a special occasion. 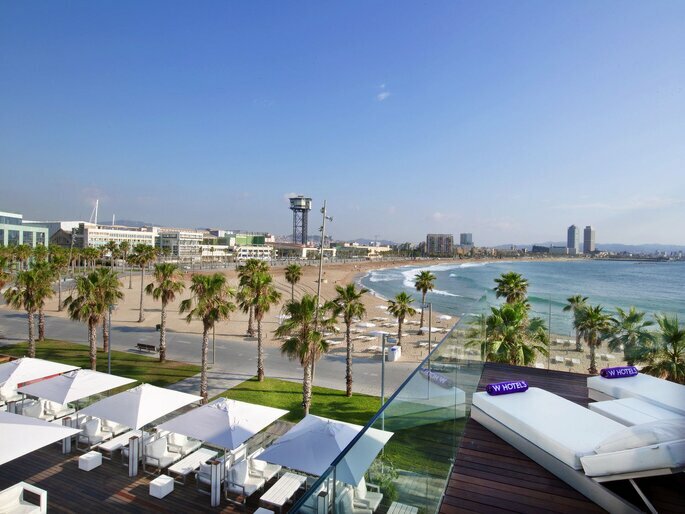 The Hotel W Barcelona is located on the seafront of the world-famous Barceloneta beach, which makes it one of the most iconic hotels in the city due to its excellent location on the shores of the Mediterranean. Everyone who visits or is passing through the city of Barcelona, has seen it or has heard authentic wonders of it. 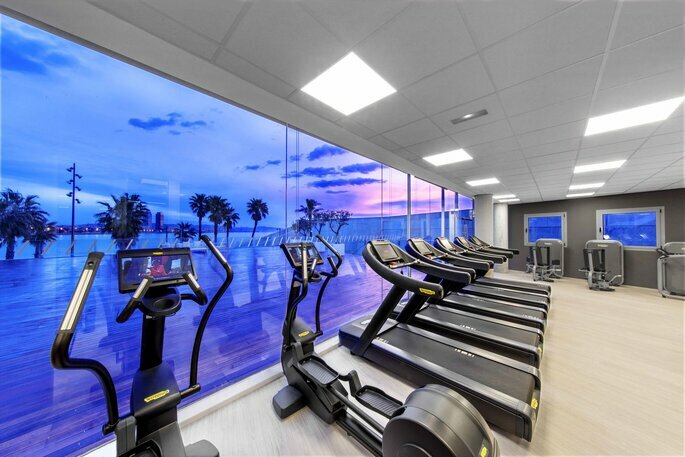 A hotel that opened its doors nine years ago and that has become one of the most distinctive landmarks of the coast of Barcelona. 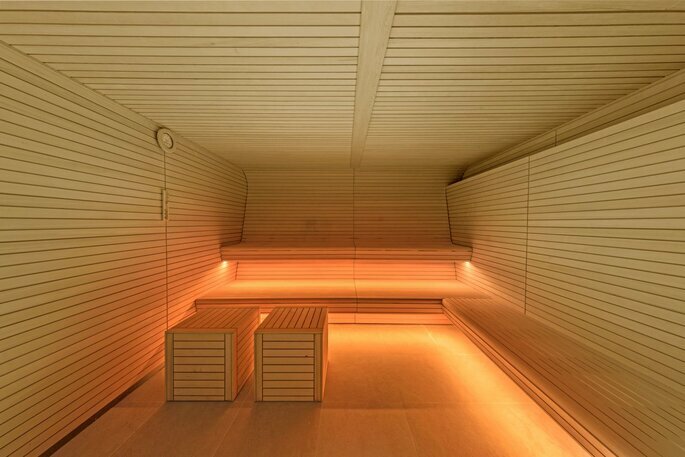 A space where luxury and design go hand in hand and where there is room for nightlife, music, gastronomy and culture. A place where magic resides and where you can watch the most spectacular sunsets from its modern and elegant suites, all designed for rest, comfort and entertainment. 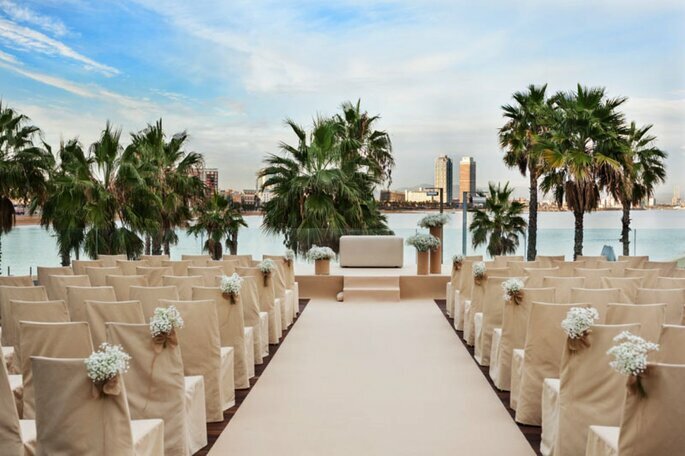 Each wedding that takes place at W Barcelona is a guarantee of success, becoming the new event of the year that everyones talking about. Would you like to say your “I do”s on the beach or enjoy a delicious feast in a modern and cosmopolitan atmosphere? 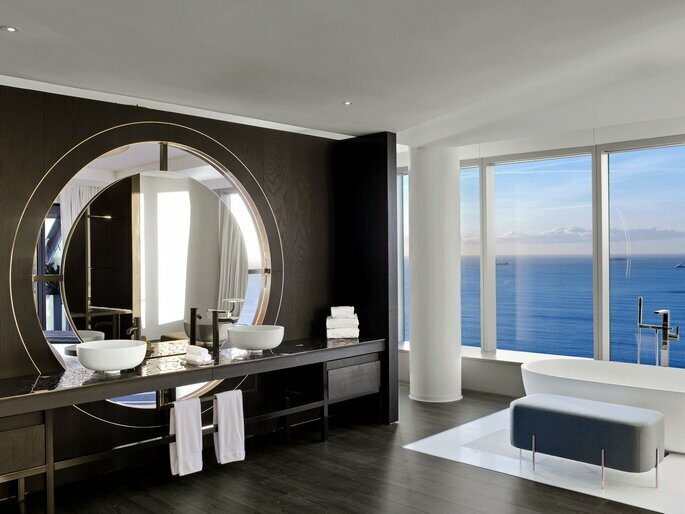 At W Barcelona you have all these options and you can find the keys to your taste, style and personality, to get a surprising and unique party where class and distinction reigns. You will feel unique and exclusive at all times as all the service staff will be exceptionally dedicated to you in order to fulfill your expectations and make the wedding that you have dreamed for so long come true. 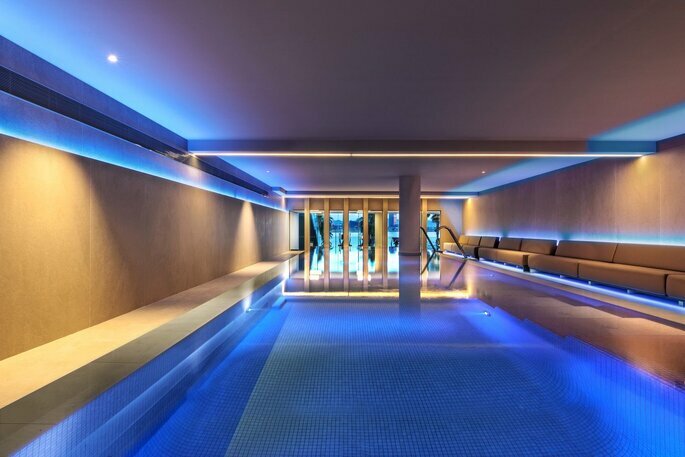 You can have several rooms of the hotel where you can breathe a minimalist, cosmopolitan and avant-garde style in each one. A building that stands out for both its exterior façade and internal facilities. Among them we highlight: the author’s restaurant BRAVO24, of the famous Catalan chef with Michelin star, Carles Abellán, where you will taste dishes of traditional cuisine revised in a modern way; SALT, Restaurant & Beach Club where you can enjoy some beautiful and warm sunsets with your feet submerged in the sand, or the ECLIPSE skybar, with panoramic views of three hundred and sixty degrees, where you can enjoy a wide variety of cocktails created by expert mixologists. 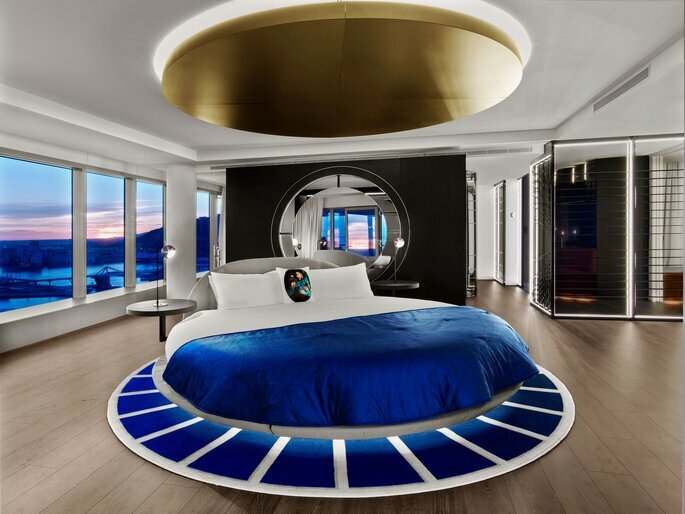 The hotel offers nothing more and nothing less than 473 rooms, of which 67 are suites and, of those 67 suites, there are two WOW Suites and one Extreme WOW Suite. Some of them have private terraces with beautiful views of the Mediterranean Sea and the skyline of Barcelona. 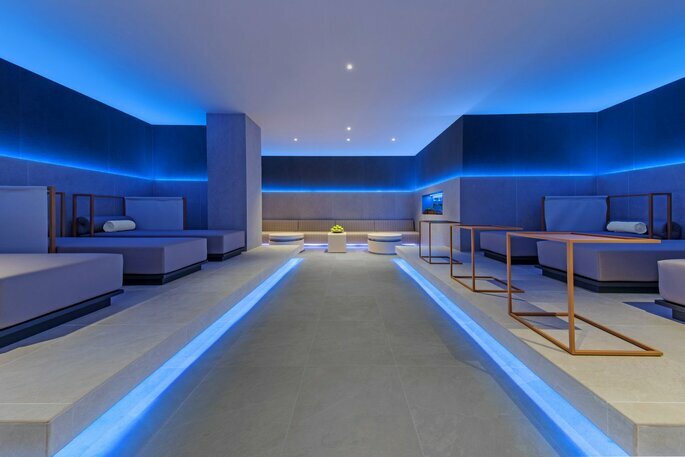 You can also relax and lose the notion of reality in their fantastic Spa Bliss New York style, the ideal place to take off all the nerves before the wedding or where you can recharge your batteries after the big day party. You can celebrate your day in the bright Great Room that has an area of one thousand square meters and large windows, or its incredible terrace on the Mediterranean where you will want to stop time. You can also do it by the sea with a more bohemian, chic and relaxed style. The perfect location that offers exclusivity and one of the best views of Barcelona. 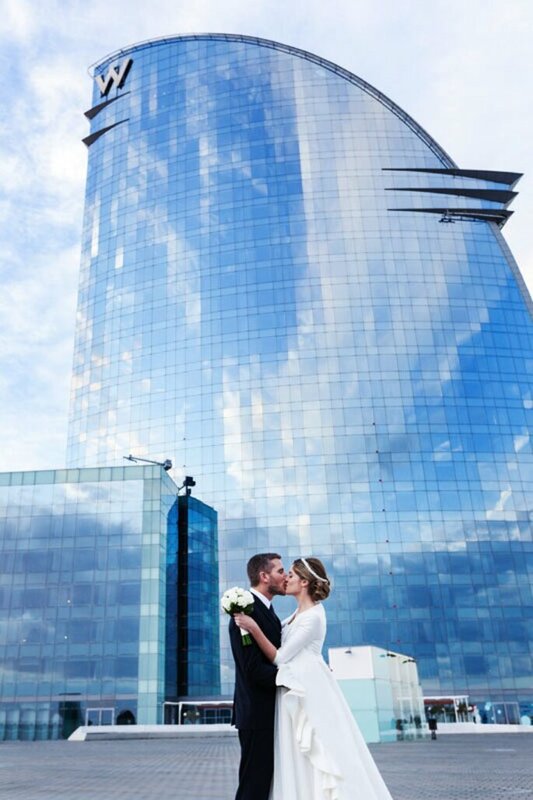 Hotel W Barcelona, without a doubt, the wedding hotel for the most excited couple.